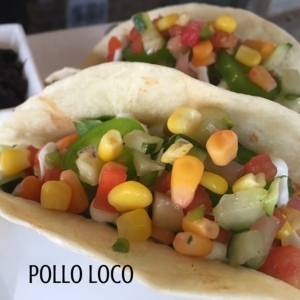 Taco & Tequila Tuesday is back at Coyote Grille starting Tuesday, July 2 and we couldn’t be more excited. Every Tuesday this summer from 4 pm – Close. 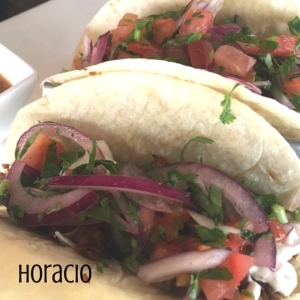 We will feature signature Coyote Grille Craft Tacos and Tequila Tasting Flights. 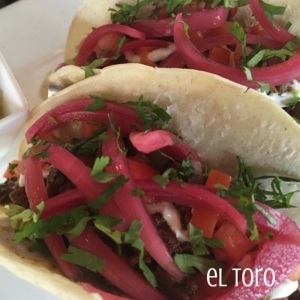 Two corn tortillas stuffed with marinated grilled flank steak, red onions, cilantro, tomato, jalapeños and sour cream. Served with rice and beans. Two flour tortillas stuffed with grilled chicken, red onions, lettuce, pepino de gallo, cilantro, corn, jalapeños and sour cream. Served with rice and beans. 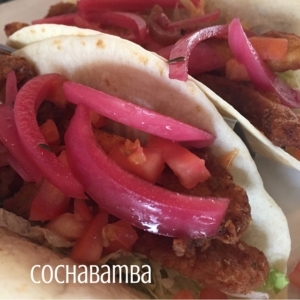 Two flour tortillas stuffed with lightly breaded, fried catfish, lettuce, tomato, pickled onions, and a jalapeño remoulade sauce. Served with rice and beans. 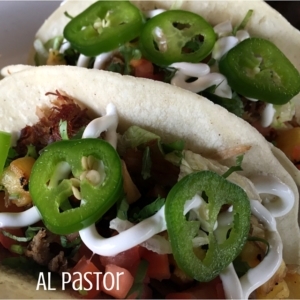 Two corn tortillas stuffed with marinated pulled pork carnitas, grilled pineapple, lettuce, tomato, jalapeños and sour cream. Served with rice and beans. Two flour tortillas stuffed with ground pork chorizo sausage, red onions, cilantro, tomato, jalapeño, and chipotle mayo. Served with rice and beans. 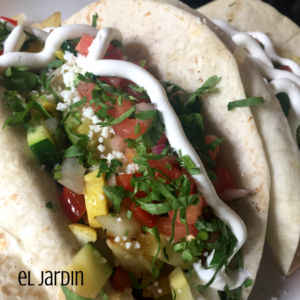 Two flour tortillas stuffed with black beans, zucchini, peppers, onions, squash, queso fresco topped with pico de gallo, cilantro and sour cream. Served with rice and beans. A classic, the Tequila that made Tequila famous! 100% blue agave aged fro 3-6 months in barrels. An all organic tequila surprisingly smooth and subtle notes of pepper and agave. An all organic tequila, notes of caramel and spice. Aged in bourbon barrels 8 months. An all organic tequila with robust notes of cloves and deep caramel vanilla. Aged in bourbon barrels 3 years. 1800 silver infused with blueberries. 1800 silver infused for 3 days with jalapeños.